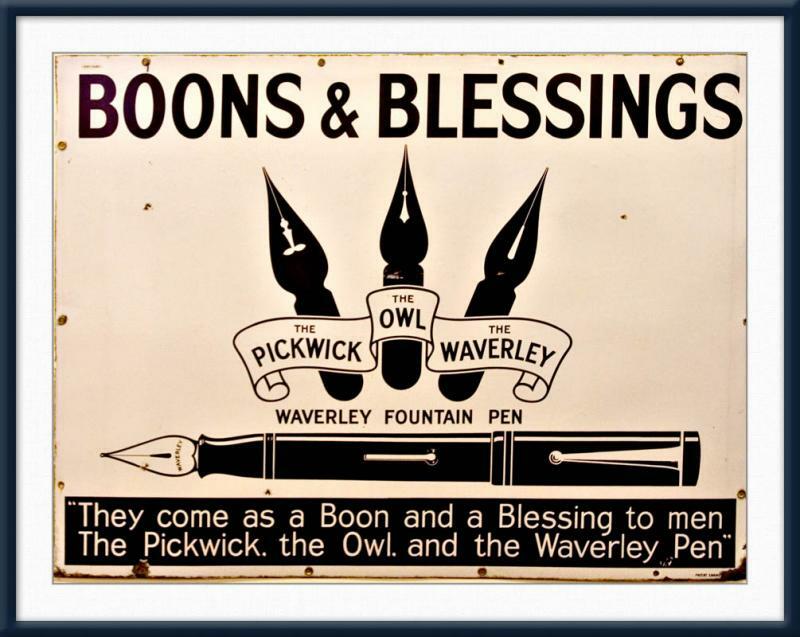 Fountain Pens And A Bit Of Doggerel . . . In my mechanical drafting, cartographic and drawing days, I had to use either a ruling pen (the less said about those abominations the better) or the old Koh-i-Noor Rapidographs with India ink. Those were a nightmare if you allowed the India ink to dry and had to clean the pen. And you would and did! In high school, a girl I wanted to date turned me down because my fingernails always looked dirty; I told her it was the darned India ink that kept my fingertips ink stained and was the very Devil to clean. So it goes . . .
A normal fountain pen with normal ink is a lot easier to manage, though I’ve still had a couple of accidents when I’d forget to cap the pen before sticking it back into my pocket. Then you walk around the office with a big blob of ink on your shirt. Luckily, dry cleaners are used to removing those stains! 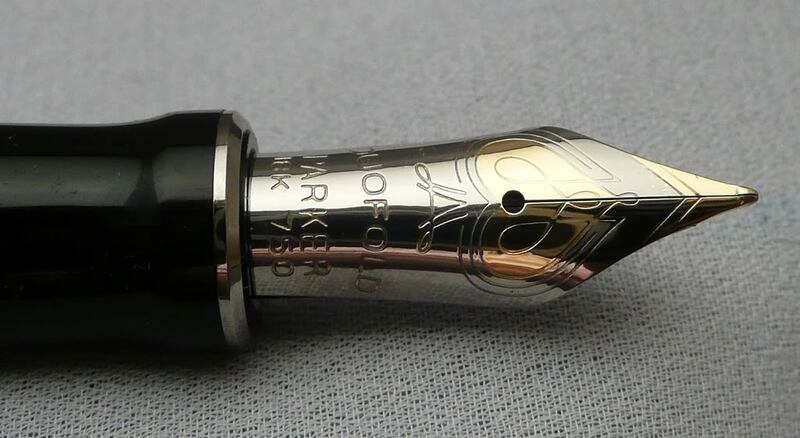 Now, there was a stretch beginning in the late 1970s where I was filling out FedEx counterfoil labels all the time, and, for that purpose, a fountain pen isn’t the right tool. Reluctantly, I switched to a MontBlanc rollerball pen, but once FedEx labels could be generated online and printed on a laser printer, I went back to fountain pens. What attracts me to fountain pens are the feel of the pen on paper, the infinite variety of inks available for them and the lovely designs available. The history of the things is overwhelming and it’s fun to look into that. My collection isn’t extensive; I have a couple of each by the major manufacturers. I prefer a wider nib or pen-point than most folks do and that’s easily achieved with fountain pens. 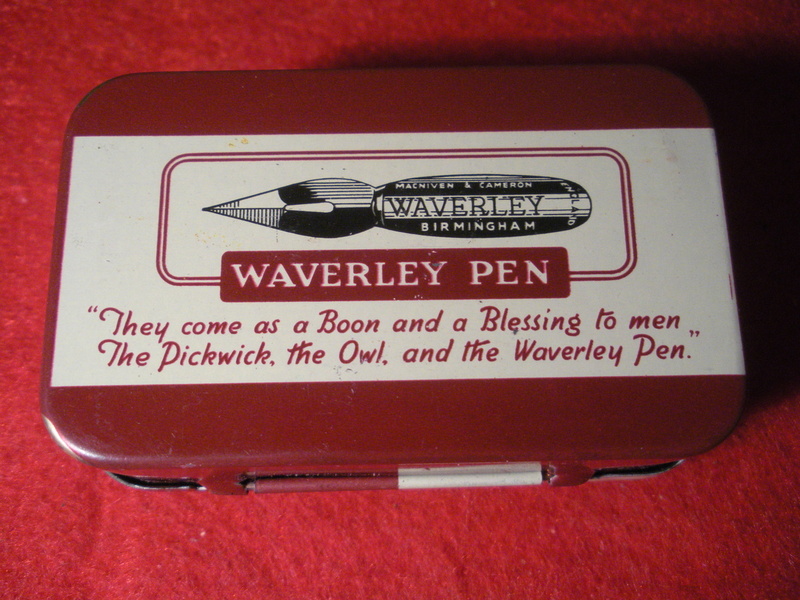 Here’s what a box of those nibs looked like. I still have a few boxes of that type of nib from my high school and college days. The ones I have are made by Speedball or Hunt, but they look just like the ones in that sign.